Since its formation for the 1964 Bollington Festival, the Players have, in addition to being a part of the Festivals, been presenting Drama and Musicals in the town on a regular basis. Over the years, works from writers as varied as William Shakespeare, Alan Ayckbourn, Oscar Wilde and of course our own Pat Penney, Doreen Young and John Coope have been performed. We rehearse and perform at the Bollington Arts Centre usually presenting two plays and a pantomime each year. 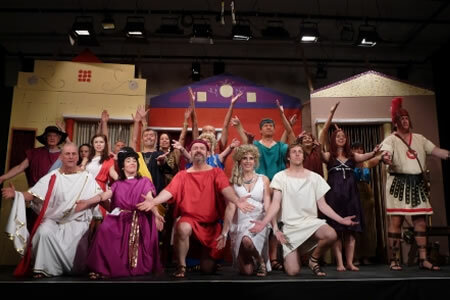 The pantomime has for many years given an opportunity to younger members to get involved in drama and many have gone on to both drama college and the professional stage.